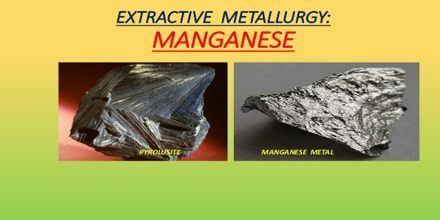 Manganese is mainly used in the manufacturing of steel and ferro-manganese alloy, bleaching powder, insecticides and paints. Orissa is the largest producer of manganese ores in India accounting for one-third of the total production. Manganese is a chemical element with symbol Mn and atomic number 25. It is not found as a free element in nature; it is often found in minerals in combination with iron.